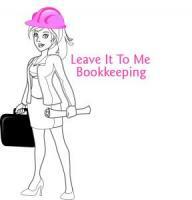 Description: Kelowna Account providing bookkeeping, tax, accounting and other business services. Specializing in working with small businesses and online entrepreneurs. We offer a full range of small business consulting, tax and accounting services for corporations, proprietorship and partnership business. As a former CRA auditor for 17 years we also offer audit representation for both clients who are currently being audited who require expert representation or clients that want the protection of having an expert deal with CRA on their behalf. As I have been involved in the accounting industry for over 26 years with everything from government to private accounting practice to running businesses as a controller am very adept in the tax laws. My sepcialty is dealing with small business ensuring they have the best business organization along with that organization being properly taylored to them. This enables them to take advantage of the tax and succession laws to enable my clients to keep more money in their own pockets and pay less to the government. This can be acheived through the use of many tools for how the corporation is set up (including the issuance of the shares) family trusts and partnership/shareholder agreements. If you are interested in a hands on approach from an expert that will be accountable directly to you rather than to a subordinate staff member please call me for a free consultation. Providing a full service public accounting and tax services office which offers clients confidential, personalized, and invaluable service. Year-round tax services with small business start-ups and construction client expertise. Catch up on previous years tax return filing. Full cycle business bookkeeping, year-end accounting, financial statement preparation, corporate and personal tax services, as well as GST/HST and WCB compliance filings. Liaise with Canada Revenue Agency on your behalf so you don't have to. Simply Accounting software set-up and assistance. Accepts Visa, MasterCard, cash, cheque or e-mail transfer for payment of charges which are reasonable and reflective of the quality of services performed.